click photo to enlarge The Taos Pueblo is the oldest continuously inhabited structure in the United States. 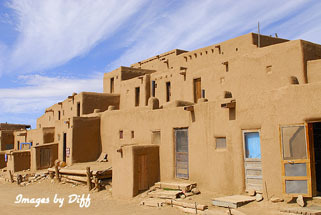 They have been inhabited for over 1,000 years. 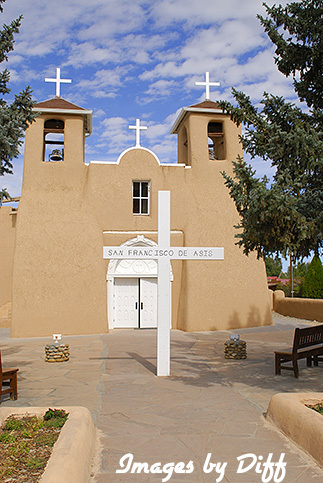 It is just a wonderful place to photograph and we visited there in late fall and it was not very crowded. click photo to enlarge Most homes are two room, one for general living and sleeping and one for cooking and eating. 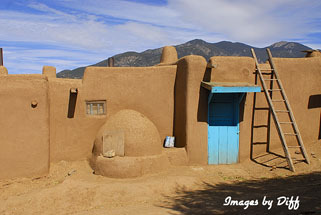 They have no electricity, running water or indoor plumbing and the walls are all adobe. 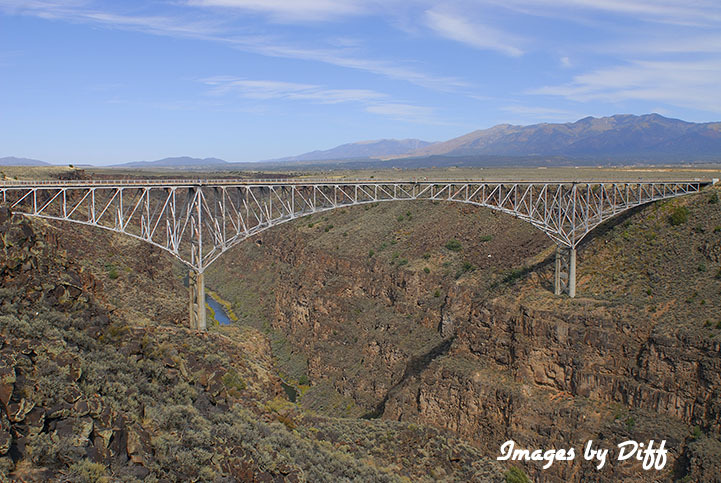 click photo to enlarge The bridge on the west side of Taos over the Rio Grand is something to see. 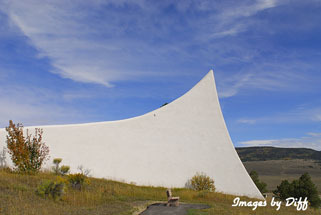 The white building below is David Westphall Veterans Foundation's Chapel. A memorial to his son and all Vietnam Veterans. It was a beautiful drive east of Taos near Angel Fire. A very moving memorial and well worth visiting.